Here are 10 local dishes in Ghana you need to try. If you have not eaten any of these days then i must say, you are missing out. Hausa porridge is a breakfast meal. Made from fermented millet, pepper, ginger and cloves. Its one of Ghana’s staple breakfast meals. This meal can be served with koose, african doughnut or bread. 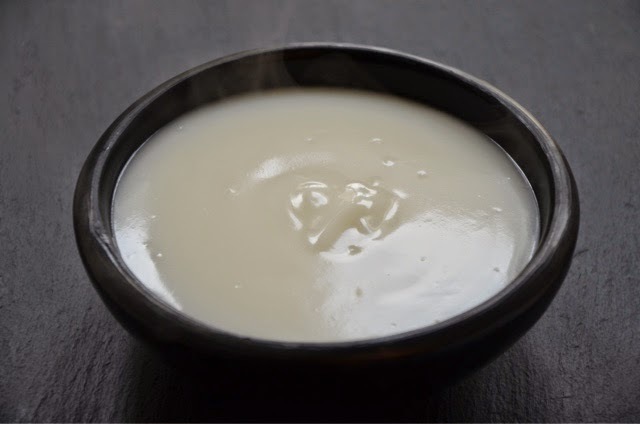 Just try hot hausa kooko on Saturday morning and thank me later. One of the popular dishes in Ghana is Fufu and Soup. Fufu is on the menu of most restaurants and eateries. served with soups such as Light soup, groundnut soup, palm nut soup or any other soup. kenkey is one of the most commonest foods you find in the country. similar to banku.its served with any hot pepper sauce and fish. Banku is usually served with soup, it can also be served with sauce. Banku and okro soup is a great combination, you can also try banku and groundnut soup or palm-nut soup. This is a popular dish in Ghana made from beans and rice. This meal usually consists of the cooked rice and beans, stew, some spaghetti, moist gari ,boiled eggs, stewed meat or stewed/fried fish and vegetable salad It may also be eaten with Kelewele (fried plantain). It originated from the northern parts of Ghana. Ampesi is a dish prepared with boiled yam,plantain and boiled cocoyam or a mix of these served with stew or sauce. Red red is popular dish is made from beans, fried plantain and gari or rice. Etor is a popular Ghanaian dish in southern Ghana made from boiled,plantain mashed and mixed with palm oil. This is the most popular dish in the northern region. Served with ayoyo soup. Rice ball goes with any west african soup. It can be served with groundnut or palmnut soup.